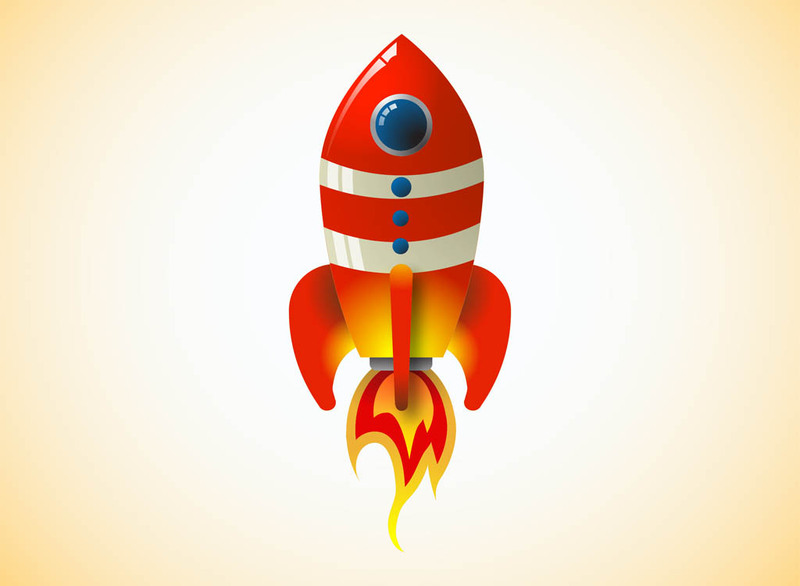 Vector graphics of a toy rocket. Glossy space shuttle with round windows and flames coming out of the bottom part. Rocket launch vector footage in cartoon style to create space exploration, astronomy, astronauts and flying designs. Free vector for icons, logos and stickers designs. Tags: Exploration, Flames, Fly, Galaxy, Shiny, Space Shuttle, Toy Rocket, Universe.